Dr. Andrew Hurley speaks and moderates over a dozen conferences and summits annually, delivers presentations internationally and consults with many Fortune 100 firms. The list below gives you a sampling of his most-requested presentations and workshops which can be customized and tailored to your event or organizational needs. How can you best utilize biometrics like eye tracking for consumer research? 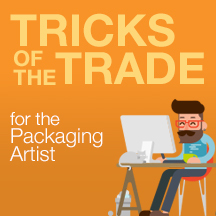 Lessons learned in the process can significantly enhance your packaging design and go-to-market strategy for optimum shelf performance. Dr. Hurley explains this refined process that balances quantitative biometric data with qualitative consumer behavior. This allows you to truly understand your market's nonconscious behavior in a retail environment and how that impacts a purchase decision. The average grocery store has 39,500 products and the average super center has 120,000. How can you disrupt the shelf and stand out from the rest? The answer is knowing and utilizing human factors. No matter our culture, our language, our color, or our gender- human factors are the psychological and sociological ways that we are all hard wired. In this intriguing presentation, Dr. Hurley gives you the tools needed to incorporate disruption into your packaging design and encourage the bottom-up processing that will make your package jump off the shelf. From Fortune 500 brands to emerging startups, paperboard is a top-used packaging substrate. It has incredible printing capabilities, a high degree of sustainability, and enhanced usability. As a packaging designer, marketer, converter, or supply chain manager it is beneficial to understand the ins and outs of paperboard in order to produce the best carton possible. With years of expertise, Dr. Hurley will walk you through the process of paperboard structural design. 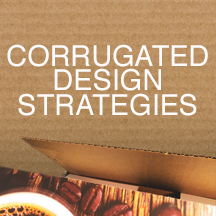 Walk through the design and development process for corrugated containers. This interactive workshop will go from the conceptual design stage all the way to engineering the final structure. Upon successful completion, participants will walk away knowing the process to develop corrugated solutions for any packaging challenge. Participants will learn unique brainstorming techniques that enavle anyone to generate hundreds of packaging design ideas. After you and your team have come up with several concepts, Dr. Hurley will provide his proprietary ideation selection algorithim that enables you to select the best idea with which to move forward. Every designer knows the importance of branding, logos, fonts, layout... on and on. But to be a successful desinger in the packaging industry, there are some things you absolutely need to know. Dr. Hurley brings his years of experience in design and with global brands to this workshop so that you can make your products jump off of the shelf and into the homes of consumers. In addition to the topics listed above, any online course at PackagingSchool.com can be translated to an in-person training. We have a large network of subject matter experts to connect you with. Want to know more about having Dr. Hurley at your next event?